JNJBTW, Johnson &amp, Johnson’s corporate blog, was one of the company’s early exploits into social media when it launched in 2007 and is today a well-established core tool for engaging stakeholders. It has become a benchmark for healthcare companies online and an often-cited case study for corporate digital engagement. From its early days as a simple blog with just one author and little two-way engagement, it has now become a diverse digital engagement platform integrated with Johnson &amp, Johnson’s other newer corporate social media channels, including its Twitter and YouTube channels and its Facebook page. Each of these channels make interesting case studies in their own right, but for now let’s take a fresh look at the role of corporate blogging via JNJBTW. Figure 1: The language of JNJBTW: This ‘word cloud’ shows top words used amongst 87 posts on JNJBTW during 2011. A simple analysis of content posted on the blog throughout 2011 reveals a diverse range of topics, illustrated in the ‘word cloud’ above – a summary of the most common words found on the blog, with the most frequently used words displayed at a larger size. 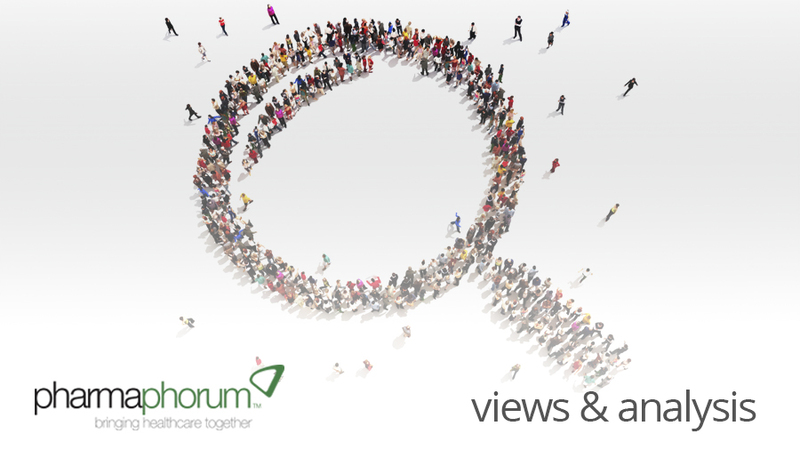 Stakeholder groups are mentioned – we see the words ‘employees’, ‘patients’, and ‘media’ in large text, reflecting frequent use, we also see doctors (the word ‘Dr’), women, children, family, nurses, partners, and bloggers included. 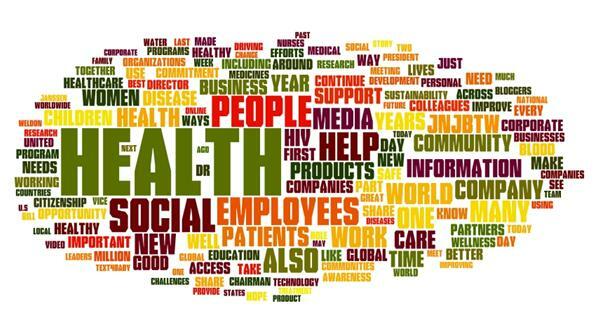 Health and disease topics are covered – the word ‘health’ is the most frequently used word, while other major topics include HIV, blood, medicines, treatment and wellness. And we also get a sense of some other topics that are important to Johnson &amp, Johnson’s corporate brand: citizenship, support, sustainability, future, community, education, development, commitment, and hope. The blog provides a direct channel for Johnson &amp, Johnson to make announcements to stakeholders, without being edited by journalists. In particular, these announcements support press releases – the company has not abandoned well-established channels still used by the traditional media. So while traditional press releases continue to provide a platform for connecting with the papers, Johnson &amp, Johnson can be first to engage digital stakeholders directly via their blog. The blog not only provides a channel for hosting and encouraging engagement around Johnson &amp, Johnson’s own announcements, but also a platform from which the company is able to have its voice heard in response to what others are saying. This function of successful corporate blogs – the ability to take editorial control over what is published in your response to media coverage – is something that was impossible before the days of social media. In today’s social digital environment, ignoring negative public opinion online has led some pharmaceutical companies into serious crises. JNJBTW provides an environment where Johnson &amp, Johnson can engage, respond and if necessary apologise in public. After the arguably infamous ‘Motrin Moms’ case where outraged mothers responded online to their offence at Johnson &amp, Johnson’s advertising, the company’s blog provided a platform for a timely response. Interestingly though, JNJBTW has not been the platform of choice for more recent apologies by the company – last month’s witty personalised apology to customers of OB Tampons after the product was discontinued is not mentioned on the blog. Perhaps this reflects the wider range of channels that the company is now comfortable using for digital engagement. 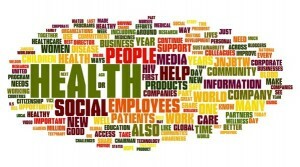 As a model of corporate blogging, I see five keys that make JNJBTW effective. Are these at work in your own corporate blogging strategy too? Social media and online credibility is not something that can simply be switched on overnight – it is earned over months and years of engagement. JNJBTW has plenty of relevant content, with almost 90 posts and 40,000 words published during 2011 and much more over the preceding years. This reflects Johnson &amp, Johnson’s longstanding commitment to the blog and gives credibility to the platform. Put simply, being open to comments from readers of the blog is what enables JNJBTW to perform as an engagement platform rather than a static corporate broadcast channel. Unlike many corporate communications announcements which can seem almost clinical in their impersonal presentation of facts and opinions, with posts on JNJBTW we know who’s talking. This means that while the message is corporate and professional, readers experience something of the personality of people in Johnson &amp, Johnson’s communications team – a factor that invites personal engagement and makes good use of a more relational style typically associated with social media. The blog is integrated with Johnson &amp, Johnson’s other digital platforms, featuring embedded video content from the company’s Youtube channel on its home page, along with links to other social media platforms and tools to stay connected. For readers who subscribe, email alerts inform them of new content as it is published. Although the blog is not overtly a marketing tool, it does play a role in Corporate Communications’ support for products. When the FDA recently approved Xarelto in the United States for the reduction of stroke risk amongst atrial fibrillation patients, a formal press release published by Janssen, a subsidiary of Johnson &amp, Johnson, on 4th November was backed up with a post on JNJBTW three days later from Johnson &amp, Johnson’s Global Therapeutic Area Head for Cardiovascular. The blog post provided a more informal, personal message about atrial fibrillation and stroke risk and a link to the press release. Integrated, on-brand and engaging, JNJBTW sets a standard for corporate blogging amongst healthcare and pharmaceutical companies. In today’s environment, Johnson &amp, Johnson will not be able to ‘rest on its laurels’ but with its proven record of finding relevant ways of connecting with changing social and digital stakeholders, I look forward to seeing how this platform continues to develop. What difference could an effective corporate blog make to you? If Johnson &amp, Johnson’s example has inspired you to think again about the role of blogging in your company, I encourage you to look again at the five keys above. Start by identifying the kinds of principles that should guide your blog. And remember that successful engagement might not happen overnight, but each step you take will be an opportunity to learn and demonstrate what works for your own organization. Daniel Ghinn is CEO of Creation Healthcare, an independent global consultancy helping pharmaceutical companies to make informed decisions about digital engagement in a regulated environment. He can be reached by email at daniel.ghinn@creationhealthcare.com or by Twitter. What principles guide your blog?